Playwright Tom Morton-Smith tells us he was inspired to write Oppenheimer after a workshop deconstructing Shakespeare’s use of grand rhetoric. What contemporary idea was sufficiently epic to require such ambitious literary flourishes, he was asked. He chose the story of J Robert Oppenheimer, the father of the atom bomb. Most post-war profiles of this mercurial genius have him defiant against accusations of genocide-by-proxy. The Manhattan Project effectively ended one war and prevented another, he would argue, not without reason. Those profile writers also mine for a trace of regret – behind the eyes maybe – that a scientific career had transmuted into a military one, albeit reluctantly. His regret was universal – for the human condition – not personal for his own sacrifices. But post-war Oppie is not pre-war Oppie – the dashing socialite and socialist we meet in director Angus Jackson’s effortlessly assured production from the RSC (no company better to take on the project). Oppie is the statuesque axis of left-leaning radicals and scientists in Berkeley where a party to raise funds for international socialism takes time out to discuss the splitting of the atom. 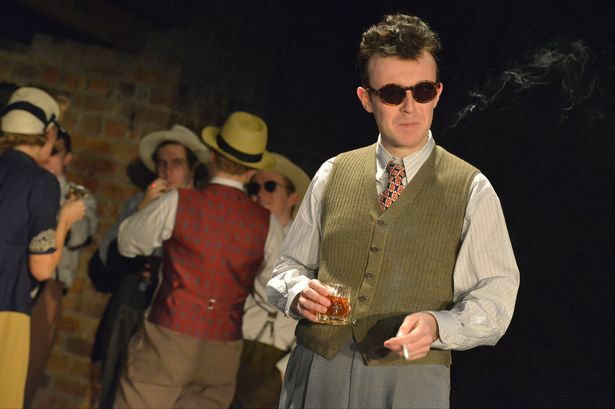 In the person of dextrous John Heffernan, he is charismatic, optimistic, progressive, cultured and self-assured. Those qualities will be tethered to a military machine that is none of those things, indeed, a machine that fears those things. He embarks upon his mission with scientific zeal and uses his persuasive powers to convince himself and others that there is only right in their cause. He deliberately distances himself from communist fellow travellers, sometimes cruelly, and toys with a coterie of women with the same amoral application of will. He will come to know of his own hard heart through the mechanics of the bomb but, at first, he uses ambition as his justification. He pioneers “big science” and restrains bigger egos with a sense of destiny and elan. Jackson’s production is chunky in its textual depth, restless in its appetites but slender and balletic in its movements. Scenes (in an overlong three-hour production) elide effortlessly, almost cinematically, and the choreography of the flawless cast keep the piece of oiled axles. The science is worn lightly, delivered occasionally like a music hall double act of rat-a-tat facts with the aid of multi-media and chalkboards. In this ambitious collage, there is time for actors to stand out. Ben Allen as irascible Hungarian Edward Teller, Hedydd Dylan as wronged gin-soaked wife Jackie, Michael Grady-Hall as Robert’s idealistic brother Frank, Catherine Steadman as unstable Jean Tatlock who held the key to Oppie’s heart. 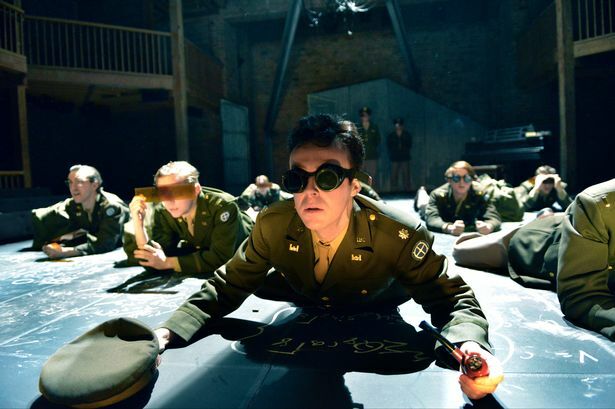 That Oppenheimer emerged from the historic mangle damaged, yes, but wise and unbroken is a tribute to his inner core of iron and, in this production, to the Herculean efforts of Heffernan.